I woke up and realized it's 2014 and a ton of things have changed since I put up this web site. I may be transitioning to a traditional site soon... but I missed updating this site for a few years so who knows? Holy dog snot, it's almost time for 2011! I guess it's time for this joint to get updated. I'll slap up a new theme and let you in on some of my other projects that I'm getting off the ground. Unfortunately for me, 'getting something off the ground' isn't like, "Start the engine, go down the runway, hit the throttle." It's more like, "Hold it up in the air and run really fast until you get enough momentum to hurl the damn thing." But hey, up in the air is up in the air and I'd rather fly a sailplane than the Hindenburg any day. Faith in a Bottle is based on a tile I made years ago with sTile, a program written by Steve Harmon over at Harmware. 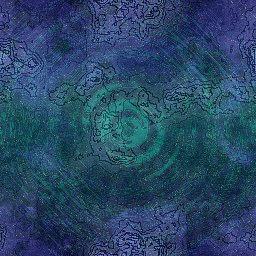 It's the background tile and the header background pic that was mangled and mashed a bit in RealDRAW. Merry Christmas! Happy Holidays! Fabulous [insert whatever doesn't fix into the other two categories here]! I've added a Contact Page form and I think I've finally fixed the streaming music problems that keep cropping up in Internet Explorer. These are the Fruity Loops or FL Studio tracks that I played with for awhile. I still have this installed and recently upgraded it so I'm toying with the idea of working through some tutorials to see how they turn out. I put up some old MIDI files on My Music page. They were all converted to MP3 a billion years ago. I don't even think I have MIDI player capability on my computer anymore. I just added a page for my Terragen pictures and re-arranged my graphics pages as sub-pages under one sidebar heading. At this rate, Google will never index this site. I have an Announcement Page! Now all I need is a Reminder Page to make sure I use it when I do updates.